Hi! 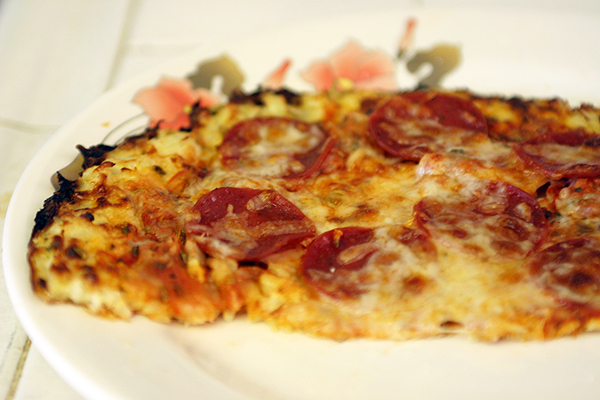 Another low carb recipe today, and a good one that could use up any leftover riced cauliflower. 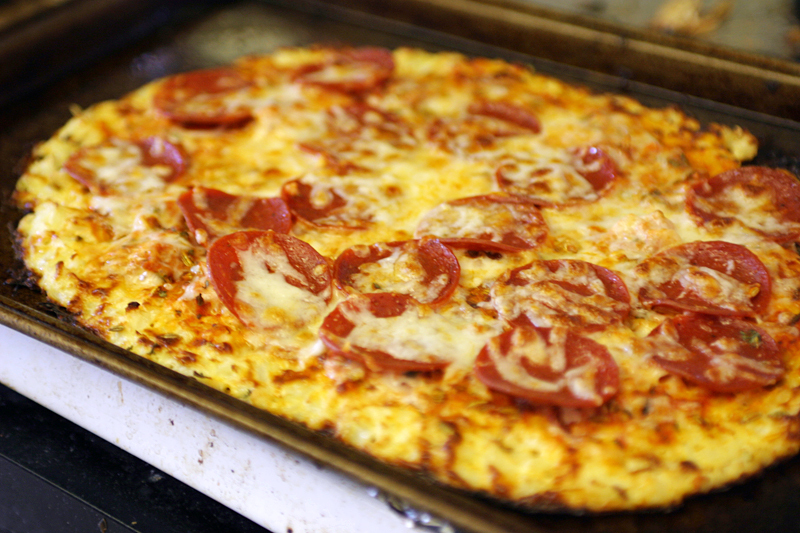 This crust is made up of mozzarella, eggs, cauliflower, and spices. I usually eyeball the amount of ingredients, and I’ve even gotten away with using just a half cup of mozzarella in a whole recipe when I don’t have a lot on hand. It tastes great, and it really can’t get any simpler. It may even be easier to prepare than regular pizza dough. * If the cauliflower still has a lot of water, I blot the florets with a paper towel. 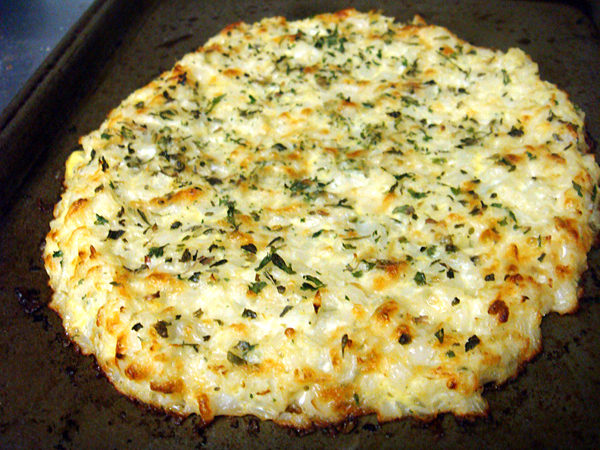 You really do not want to bake with wet cauliflower, it will make the whole pizza soggy. * Once dry and cooled down enough to handle, mince the cauliflower into pebble-sized pieces. For the rest of the details, you can check out The Lighter Side of Low carb, which I credit for the recipe. (Recipe: here. One suggestion I would make is when shaping the pizza crust, make sure that the center of the pizza is thin and that the edges/”crust” portion of the pizza is thicker. When I didn’t do this, the middle of the pizza would be more soggy than I liked, and the edges overdone. Varying the thickness ensures you’ve got an evenly cooked low carb pizza pie that will be crispy and cooked in all the right places. Freshly cooked crust, ready to be topped and put back in the oven. Cross-section of a slice of pizza made with cauliflower “dough”. Not bad!